Beekeeper Dan Punch of The Punch Honeybee Company joins the We Grow Ours show to talk bees with Nick and Don. The Punch Honeybee Company has set out to change the way we react to swarms, hives and the like. 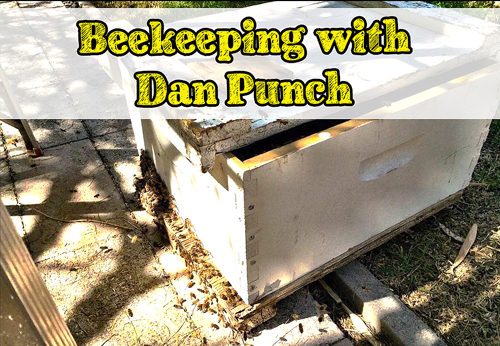 Dan Punch not only rescues bees and relocates hives; he participates in public addresses and clubs to spread the “buzz on bees”. Dan is NOT an exterminator, but he does remove bees that are where they shouldn’t be; he has built a business around the RESCUE of honey bees. As many of you know, our bee-loved buzzing brethren are threatened with annihilation. New pesticides and herbicides are being sold and used without any thought to the future of these lil’ fellers. The last thing they need is some pest control freak showing up and burning them down. So Dan started his own company to put a stop to the old poison practices and promotes the ethical treatment of bees through The Punch Honeybee Company! Don’t forget to tune into Independent Talk 1100 KFNX on Sundays from 1-2! !